​Borussia Dortmund sporting director Michael Zorc has admitted that Marco Reus is unlikely to be fit for Wednesday's Champions League clash with Tottenham Hotspur after suffering a thigh injury. Reus limped off at half time of Dortmund's DFB Pokal loss to Werder Bremen on Wednesday, and sat out the 3-3 draw with Hoffenheim on Saturday. 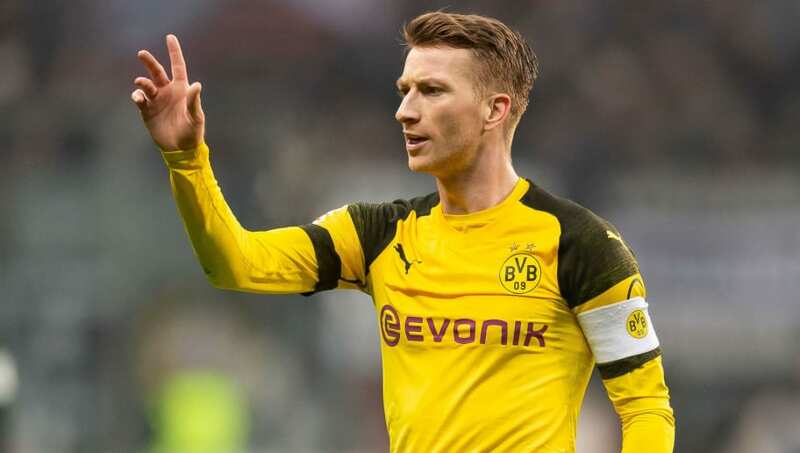 The extent of his injury is not yet public knowledge, leaving many fans to speculate as to whether Reus will be fit in time to face Tottenham at Wembley Stadium. In an interview with German outlet ​Ruhr Nachrichten, Zorc refused to rule out the possibility of ​Reus featuring in the match, but admitted that it is highly unlikely at the current moment in time. He said: "I think we will decide that in the short term. But I do not expect a miraculous recovery before Wednesday." In Reus' absence, ​Dortmund opted to field 24-year-old Maximilian Philipp against Hoffenheim, but the likes of Christian Pulisic, Jacob Bruun Larsen and Mario Gotze will all be in contention to replace the injured Reus. Zorc also discussed the fitness of central defender Manuel Akanji. who has been sidelined since December with a hip injury. He confirmed that the 23-year-old has returned to training, but is still not near full fitness. He added: "It's nice that he's back on the pitch. Manuel is on schedule, but one must not forget that he has been out for a long time. It will take some time." Finally, Zorc also revealed that right-back Lukasz Piszczek has been struggling with a heel injury in recent weeks, and his involvement in the match is now doubtful. The 33-year-old played the entirety of the draw with Hoffenheim, but could be replaced by 20-year-old Achraf Hakimi, who is currently on loan from ​Real Madrid.